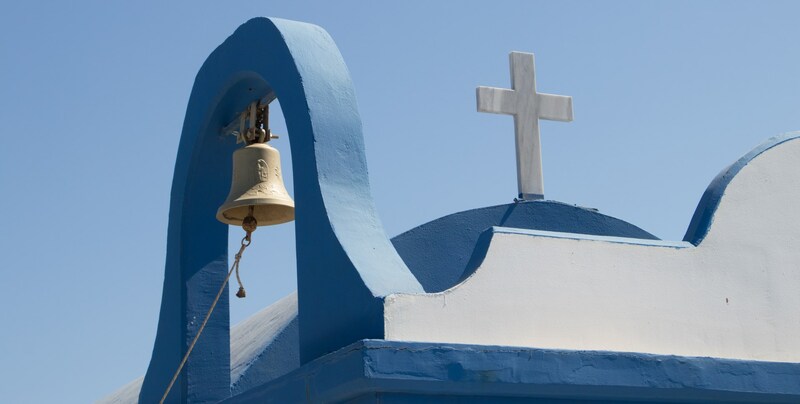 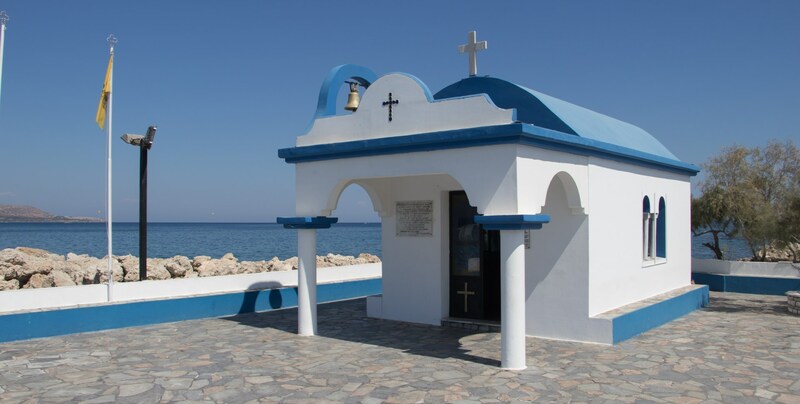 A charming traditional Greek chapel, standing in all its glory at the end of the harbour surrounded by the sparkling blue Mediterranean Sea. 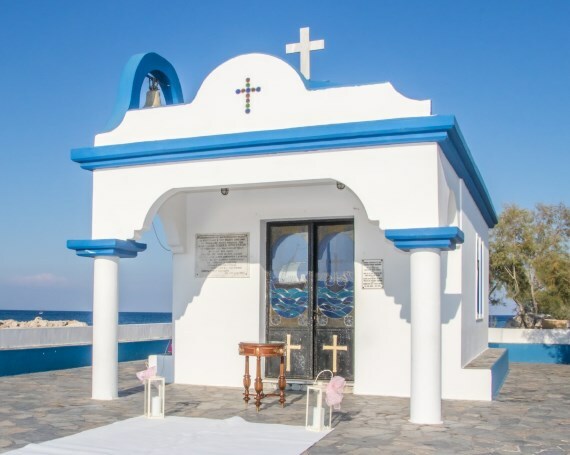 A popular venue situated in the secluded area of North Faliraki, where you have the opportunity to have photographs taken on the glorious sandy beach with views of the coastline behind you. 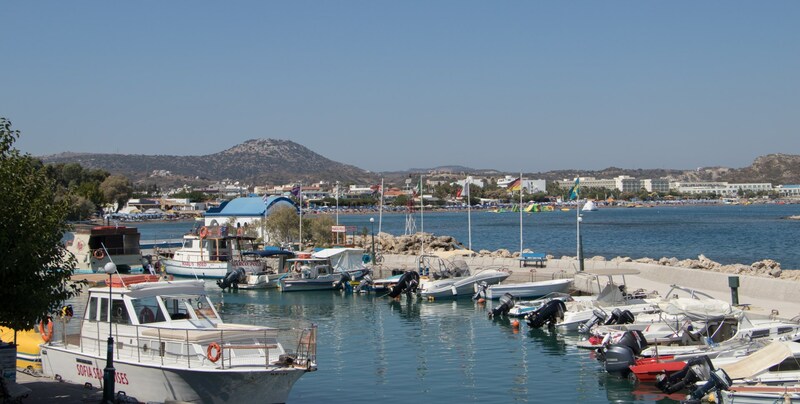 Make a traditional arrival by walking along the harbour accompanied by an accordionist. 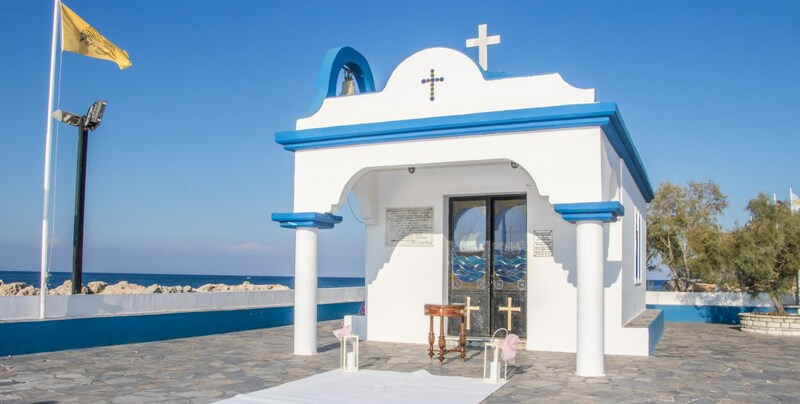 Ceremonies at Aghios Apostolos are arranged on weekday afternoons and it is requested that only biodegradable confetti be used. 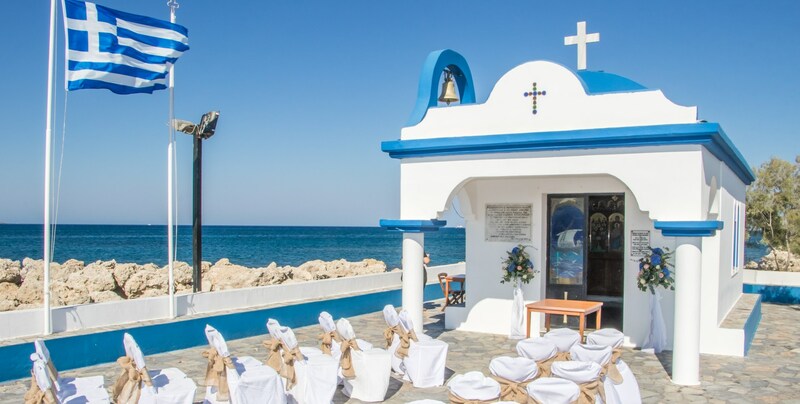 At this venue you sign the register on the wedding day during your ceremony. 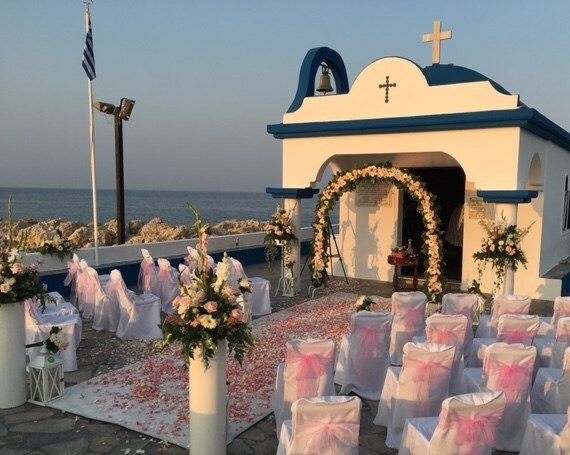 You can sail off into the sunset after the ceremony on a champagne cruise or let us arrange champagne and drinks at the chapel.